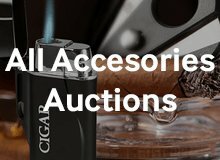 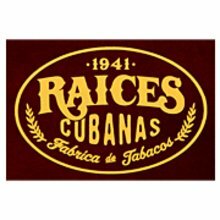 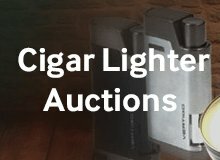 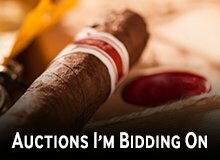 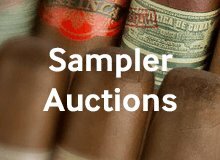 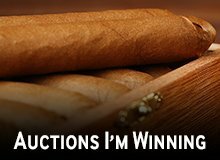 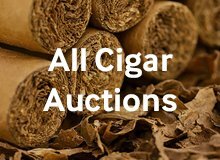 Crafted by Alec Bradley, a company that is no slouch in terms of high scores from cigar publications, the Raices Cubanas Gordo is a hefty high-quality handmade cigar created in classic Cuban tradition. 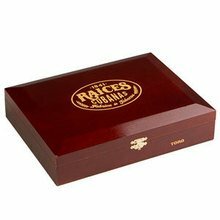 Handmade in Honduras in a teeth-sinkingly satisfying 6 x 60 size, the Raices Cubanas Gordo catches the eye with the oily sleekness of its rich Honduran EMS wrapper leaf in a warm, medium-brown color. 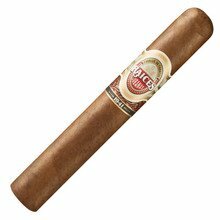 Once lit, the very well-constructed Raices Cubanas Gordo provides a noticeable but not overly spicy pepper flavor complemented by a subtle hint of honey that nicely tempers its medium-to-full-bodied strength profile up until its smooth finish. 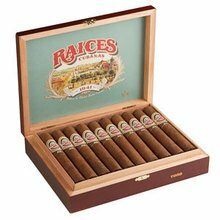 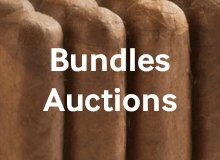 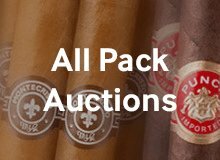 Packaged in pocket-friendly packs of five cigars, the Raices Cubanas Gordo is a solid selection for premium-cigar smokers shopping online for a supersized, sweet-and-savory handmade smoke in handy travel-friendly 5-packs. 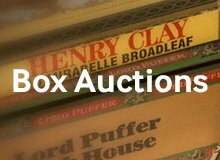 Your bid for boxes of Gordo at $ per box is confirmed and will be added to your cart if your bid is successful.